It was another rough news week, wasn’t it? Between threats of nuclear war with North Korea, the possibility of invading Venezuela (and WHY?? I keep up pretty well and haven’t been able to figure this one out,) and the disgusting display of American Naziism in Virginia over the weekend, I’ve practiced distraction a lot. Besides that, I’ve been thinking about my upcoming class. I will make one quilt to feature in the shop’s marketing. I’ll also make two quilts along with my students. But I also will draw several more, to show them examples of how they might use simple blocks and unpieced borders to create an intricate design. Here are a few. 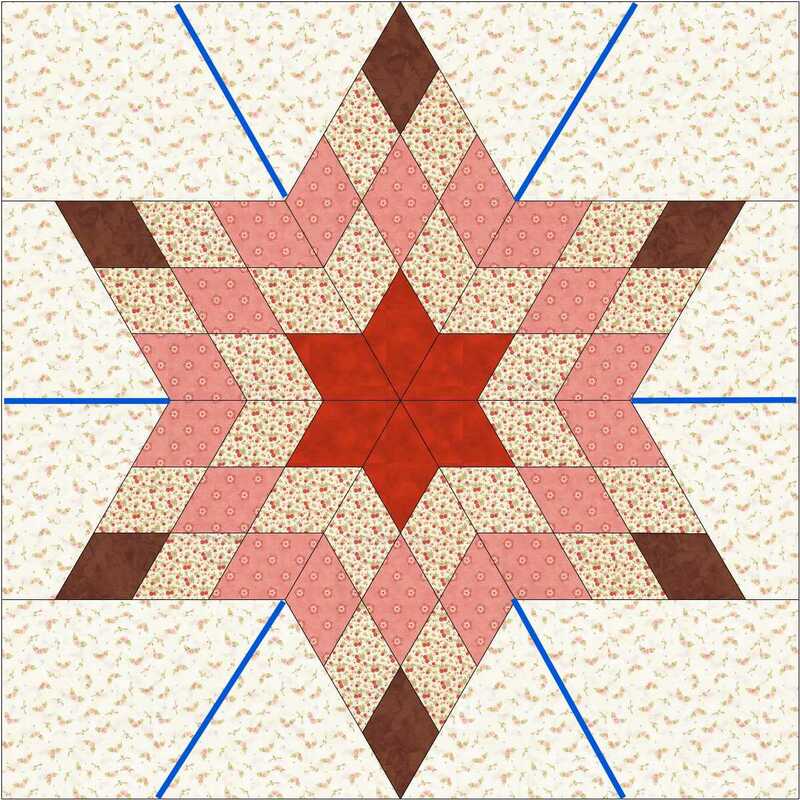 All of them will create a quilt finishing 60″ square. The center block for each is the same size, and the border widths are the same sizes. They all use the same blueprint. I’ll start with a re-do of the white and bright one from the other post. This preserves the flavor but simplifies it quite a bit. Next are two that also use spacer blocks in the final border. And two more that have more traditional block placement in the final border. These were fun to create, and served well to keep my mind off some less happy topics. 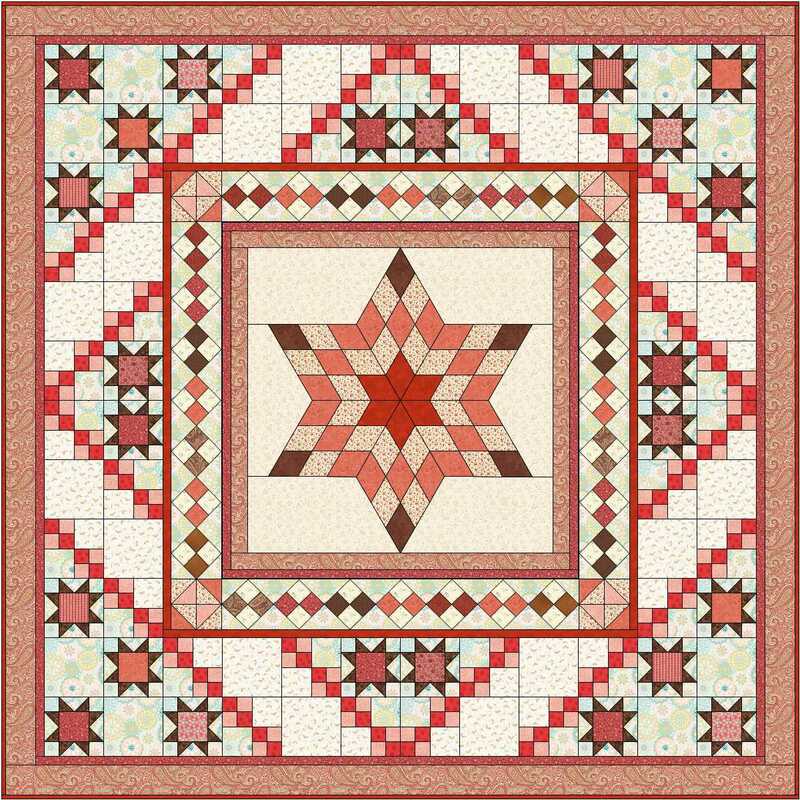 This entry was posted in Creativity, Medallion Quilts, Quilting and tagged EQ7, Fun, Original design, teaching on August 13, 2017 by Melanie McNeil. I’m working on that UFO. More accurately, I’ve stalled working on that UFO, because of balance problems. Pretty, huh? I liked the airy way the chains of 4-patches wrapped around the center. After arriving home over the weekend, I set to work making 40 double-4-patches to construct the borders. They finished well, and I was excited to lay them out around the center. But I don’t like the look at all. They definitely look better in the drawing than they do in real life. The balance is all wrong. The visual weight of the center (everything in the center so far, including the 4-patches on point and the 1″ dark pink border outside of them) is too heavy, relative to the weight of the chains. 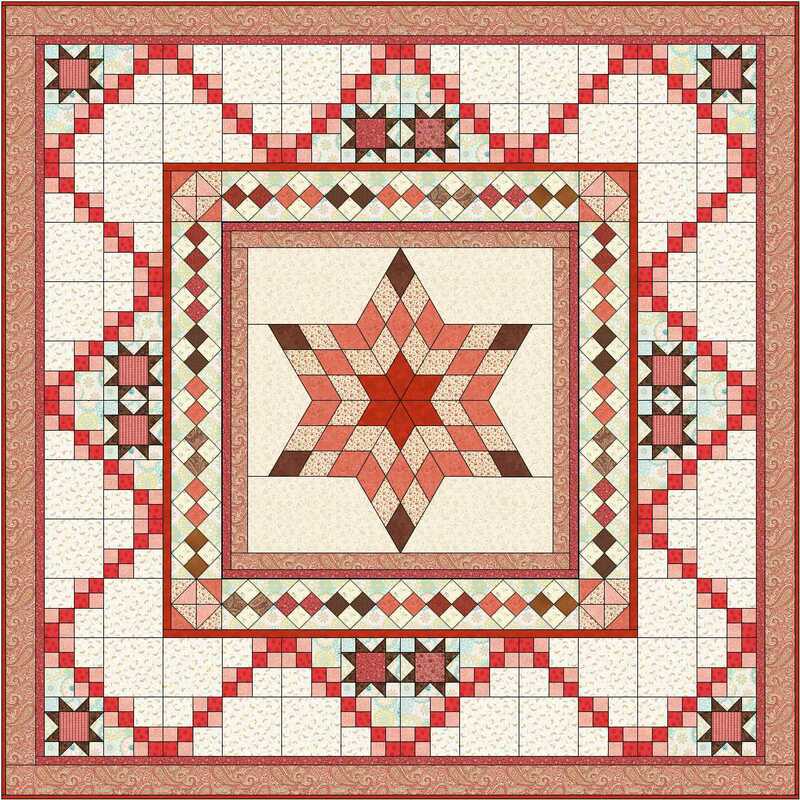 The difference is so stark, the border chain blocks seem completely disconnected from the center, as if they are from different quilts. Unity: the design principle that all the elements and components of a design look like they belong, that they are unified, or one. Balance: the design principle that elements and components of a design have equal distribution of visual weight. My chains are not well balanced with the center, and in fact, are so badly balanced as to look like they don’t belong. So it was back to the literal drawing board of EQ7. I have a tentative plan, but you might understand that I’m shy about showing it right now. First I’ll see if it works. How is your week going? Are you making good progress, or are you in steps-forward and steps-back mode, like I am? 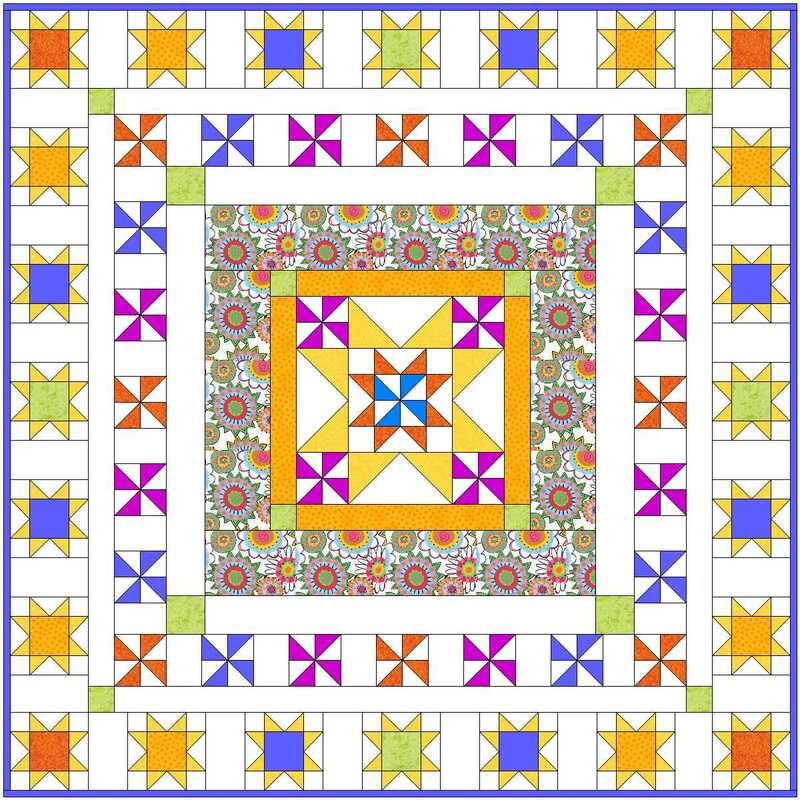 This entry was posted in Medallion Quilts, Quilting and tagged Balance, Borders, Design, EQ7, Ideas, Original design, Quilt borders, Solving problems, UFO, Unity, Visual weight, Work in process on June 28, 2017 by Melanie McNeil. Where I left you last time was having solved the problem of setting the star points into background fabric without using Y-seams. 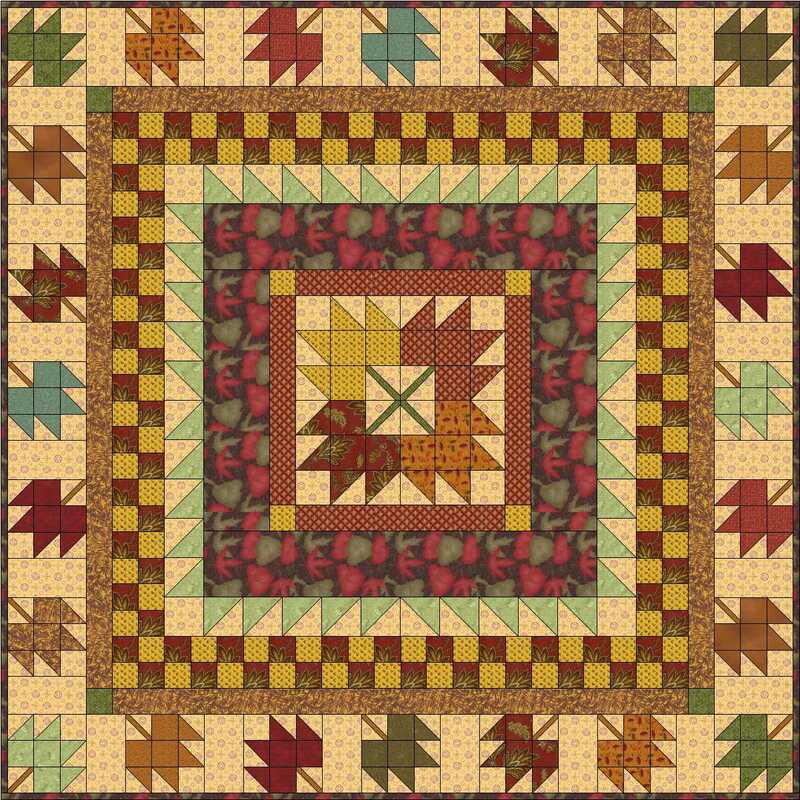 I also showed you an idea for a quilt design using log cabin blocks. It’s pretty, but I really have no interest in making it. This is where it is so far. At this point it finishes at 54″ square. The question is, what to do next? Often I begin a quilt with a center and two or three borders, designed in my mind and with scratch paper, and made directly. When it’s time to add more borders, I often switch to EQ7 for design help. It gives the advantage of trying out ideas without making them. With unlimited iterations possible at virtually no cost, there is not much downside. I did the same for this one. Here are a couple of options, drawn in EQ7. 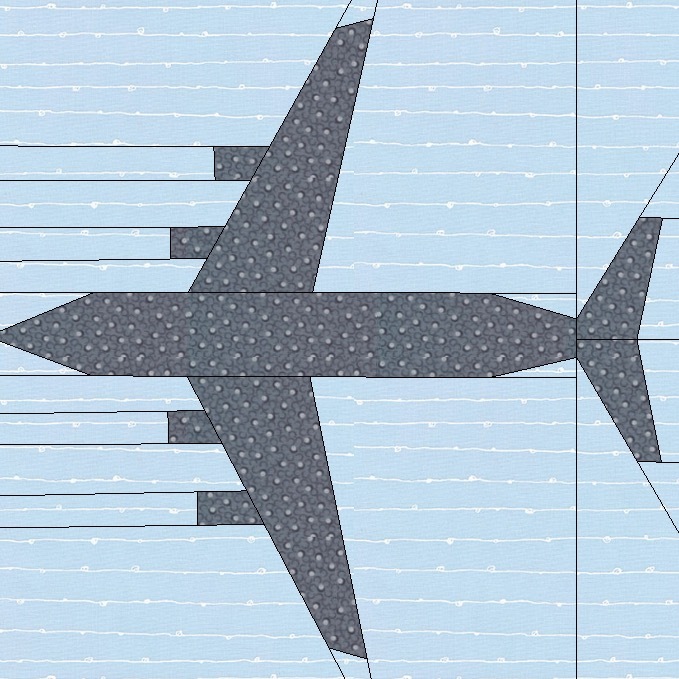 Original design in EQ7, 82″ square. 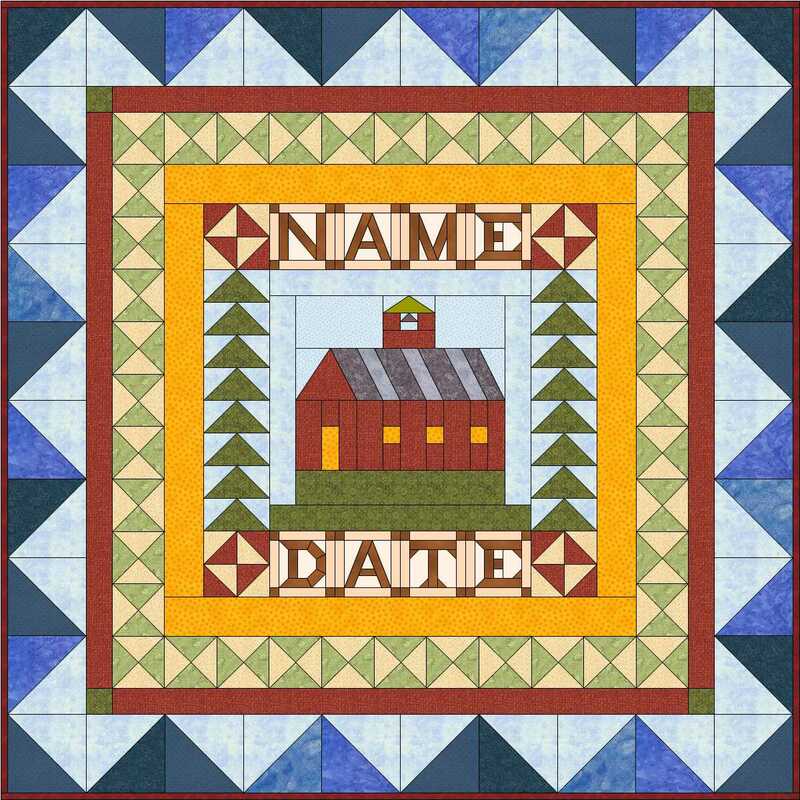 Original design in EQ7, 93″ square. I like them both, but I have a pretty good idea which direction I’ll go with it. 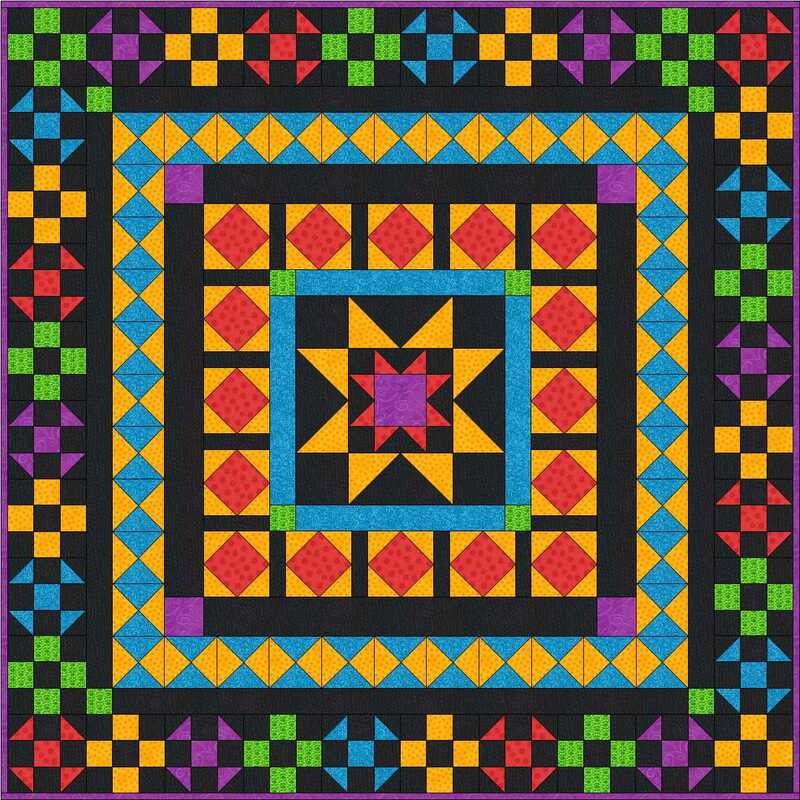 This entry was posted in Medallion Quilts, Quilting and tagged Borders, Design, EQ7, Ideas, Original design, Quilt borders, Solving problems, UFO, Work in process on June 19, 2017 by Melanie McNeil. I’ve often boasted about not having many UFOs (UnFinished Objects, or quilt projects that haven’t been completed.) Why that would be something to brag about, I’m not sure. But it’s true, usually I finish what I start. There is one long-time UFO, started several years ago. There were multiple reasons for not proceeding with this. One issue was technical — I wasn’t sure how to do the Y-seams to set the points in a background. 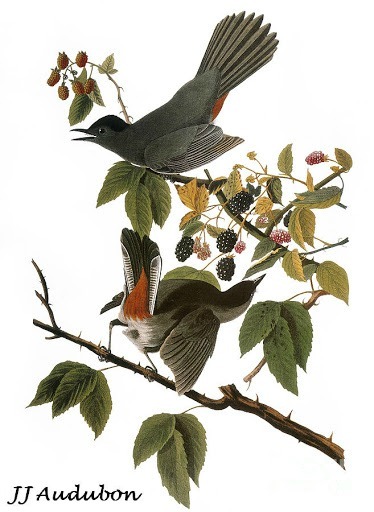 (Above they are not sewn together, just arrayed on batting to show them.) Another was that, once set, I didn’t have a good idea of how to show them off. Almost four years ago I posted More of an Idea than a Plan. In it I showed one option for setting these star points. I didn’t do this. I still like the idea, but I’m really not interested in making those log cabin blocks. Also, it turns out that the center resulting from the star points is bigger than I thought. Adding all those log cabin borders would make this a fairly humongous quilt. If that weren’t enough, I still didn’t know how to set the star points in background fabric. Recently I got the star points out again. It turns out you can avoid using Y-seams if you extend the points with background fabric. The blue lines below illustrate the extra seams. 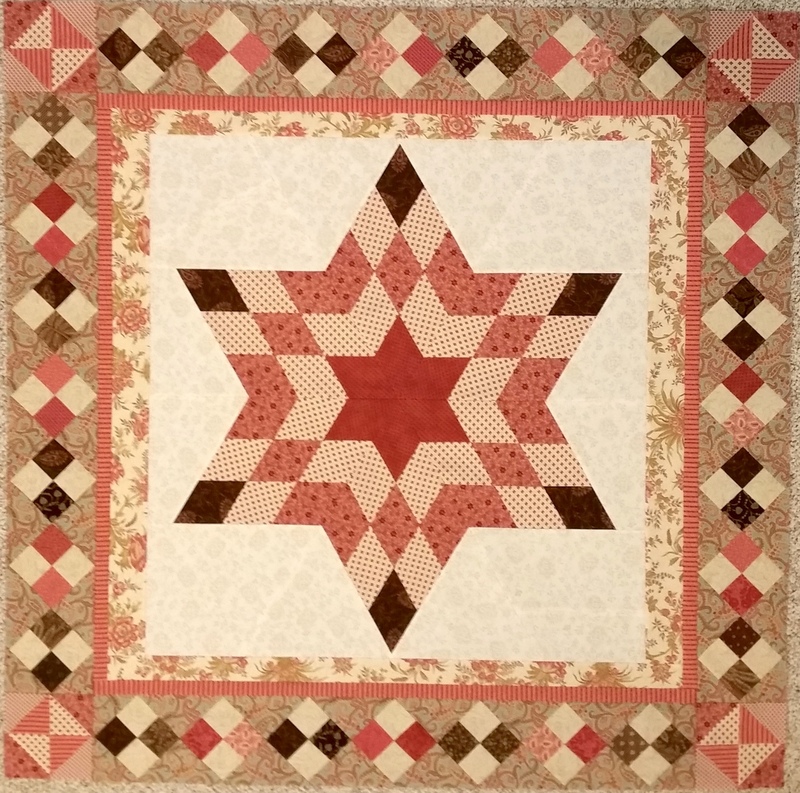 The star block has six big segments, each consisting of a star point and two pieces of background fabric. Put together two star halves, and then stitch the long seam to create the whole block. Easy peasy. The constraint I faced was not having quite enough background fabric. If you look again at the block above, you can see that the star itself is not the same width as height. The star points do not extend all the way to the sides. To make the block square, it requires “enough” background fabric to make the height and width equal. I didn’t have quite enough. That gave me the next opportunity for problem solving. The easiest two ways to make a center square are to 1) trim it to square or 2) add borders to make it square. I had nowhere to trim; adding borders of different widths was the best choice. The photo below shows my solution. To all four sides, I added borders of floral print on cream background. The top/bottom borders are narrower than the left/right borders. The one-inch strip border in coral encloses all that and creates the illusion of uniformity. At least, for me it helps make the width differences disappear. That strip takes the center to 42″ finished. The final border so far uses 4-patches on point for the edges, and broken dishes in the corners. I’ve talked before about using “easy” widths for borders, to make them divide into square blocks. This works even with blocks on point. 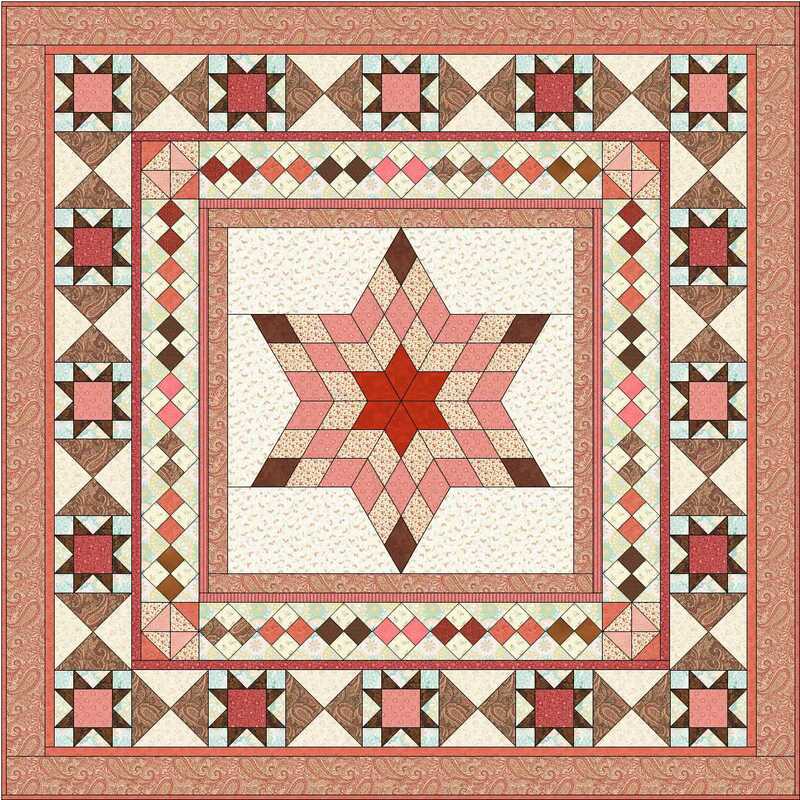 With an edge of 42″, I divided it into 7 equal segments to have a 6″ border. 42″/7 = 6″. Then I used the math of diagonals to find the correct block size. 6″/1.414 = 4.25″. Each of the 4-patches is a 4.25″ block. When set on point, they make a 6″ wide border. It isn’t magic, and it isn’t mysterious. It’s just math. If I didn’t know all that and still wanted to use blocks on point, I could have made them any size and simply had them not fit perfectly. AND THAT IS OKAY!! And TRADITIONAL!! Alrighty. This post is too long already. I’ll finish it soon with showing you a couple of options for the remainder of the quilt layout. 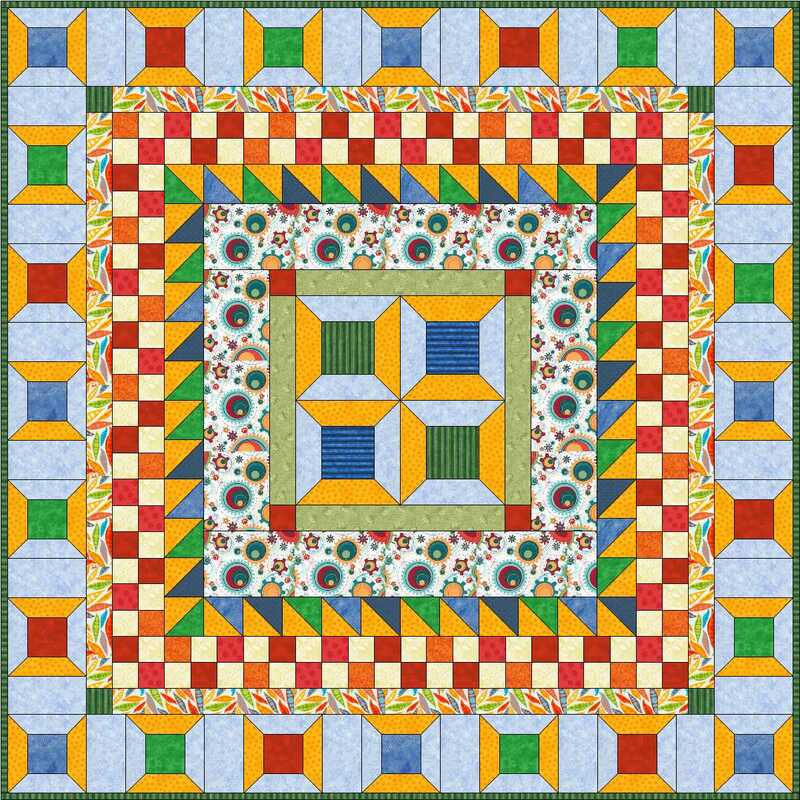 This entry was posted in Medallion Quilts, Quilting and tagged Center block, Design, EQ7, Medallion quilt, Original design, Process, Progress, Quilt design, UFO on June 18, 2017 by Melanie McNeil.